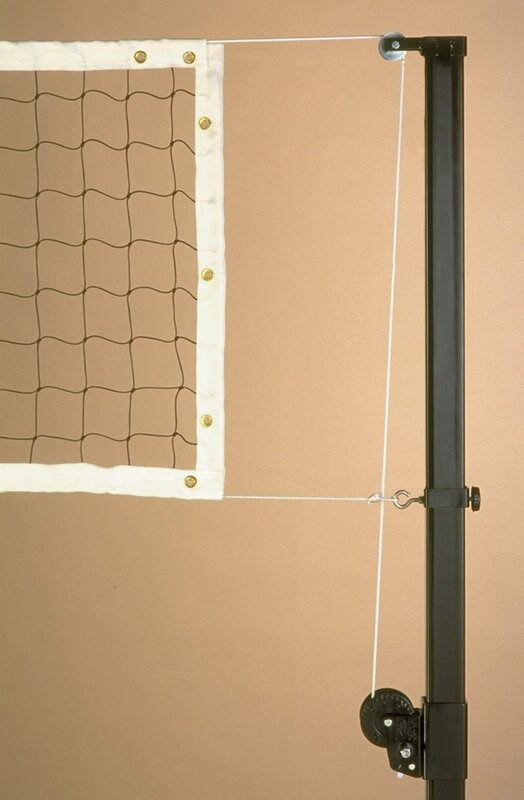 Durable steel volleyball system is built to withstand outdoor abuse. 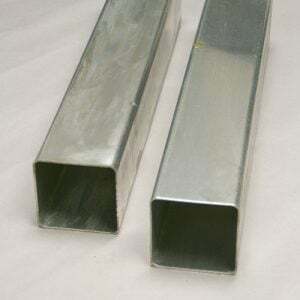 Strong posts are 3” square steel with a 1/8” wall thickness. Poles are 10’ 6” in length and have a lifetime guarantee from bending. 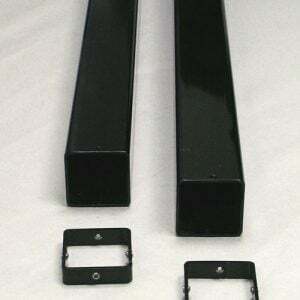 All metal parts are finished with a black polyester powder coat for maximum weather resistance. Net collars are adjustable, allowing for easy height adjustment for official play. Smooth operating reel is constructed from heavy-duty steel and has a removable handle. Posts can be permanently placed in the ground or installed with optional seamless 24” aluminum ground sleeves for a semi-permanent installation. 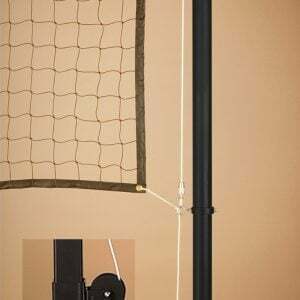 System can be installed for sand volleyball with the 36” Steel Ground sleeves. 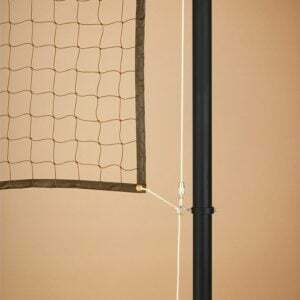 The VB-1200RB Competition net measures 36” in height and 32’ length meeting the USVBA standards. Black netting is 3.0 mm in standard 4” square. Perimeter bands are constructed from 2.5” wide 20 oz white vinyl. Nets are braced with fiberglass dowels. Top cable is 41’ in length and is vinyl coated steel with a 3600 lb break strength. Cable ends are double pressed for strength. 6mm Rope in bottom net band. Please contact me with more information about: "VBS-3 SQ Outdoor Power Volleyball System, 3" SQ Steel, Black".